Carbon steels contain only carbon as the principal alloying element. Other elements are present in small quantities, including those added for deoxidation. 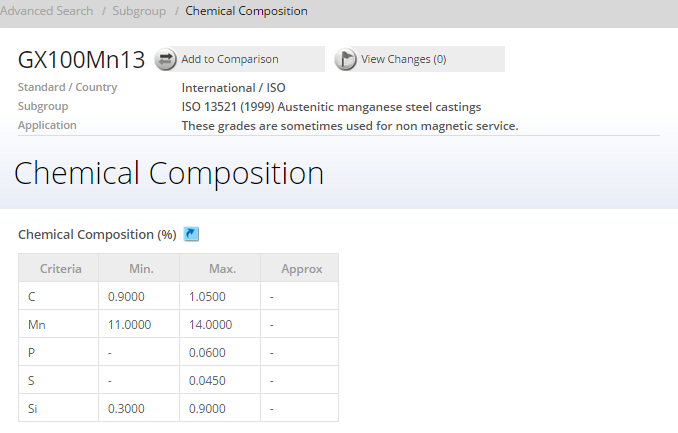 Silicon and manganese in cast carbon steels typically range from 0.25 to about 0.80% Si, and 0.50 to about 1.00% Mn. For deoxidation of carbon and low-alloy steels, aluminum, titanium, and zirconium are used. Aluminum is more frequently used because of its effectiveness and low cost. 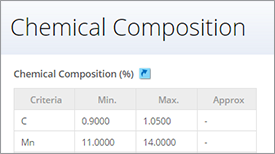 Unless otherwise specified, the normal sulphur limit for carbon and low-alloy steels is 0.06%, and the normal phosphorus limit is 0.05%. Carbon steel castings are produced to a great variety of properties because composition and heat treatment can be selected to achieve specific combinations of properties, including hardness, strength, ductility, fatigue resistance, and toughness. Although selections can be made from a wide range of properties, it is important to recognize the interrelationships among these properties. 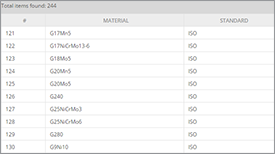 For example, higher hardness, lower toughness, and lower ductility values are associated with higher strength values. The relationships among these properties and mechanical properties will be discussed in the following text. Property trends among carbon steels are illustrated as a function of the carbon content in Fig. 1. Strength and Hardness. 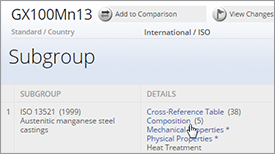 Depending on alloy choice and heat treatment, ultimate tensile strength levels from 414 to 1724 MPa can be achieved with cast carbon and low-alloy steels. 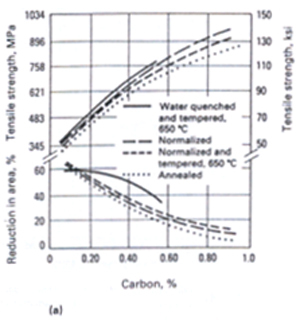 For carbon steels, the hardness and strength values are largely determined by carbon content and the heat treatment. Strength and Ductility. 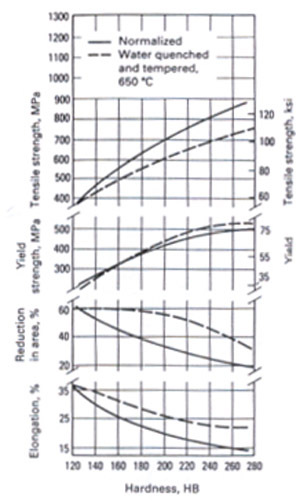 Ductility depends greatly on the strength, or hardness, of the cast steel (Fig. 2). 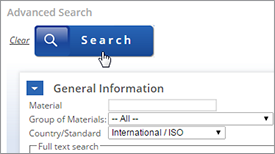 Actual ductility requirements vary with the strength level and the specification to which steel is ordered. Quenched-and-tempered steels exhibit higher ductility values for a given yield strength level than normalized, normalized-and-tempered, or annealed steels. 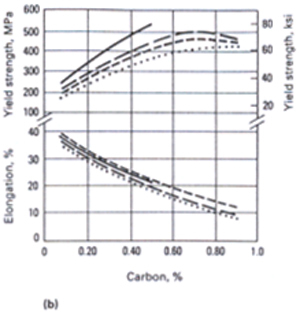 Figure 2: Tensile properties of cast carbon steels as a function of Brinell hardness. Strength and Toughness. Several test methods are available for evaluating the toughness of steels or the resistance to sudden or brittle fracture. These include the Charpy V-notch impact test, the drop-weight test, the dynamic tear test, and specialized procedures to determine plane-strain fracture toughness. Charpy V-notch impact energy trends at room temperature reveal the distinct effect of strength and heat treatment on toughness. Higher toughness is obtained when steel is quenched and tempered, rather than normalized and tempered. 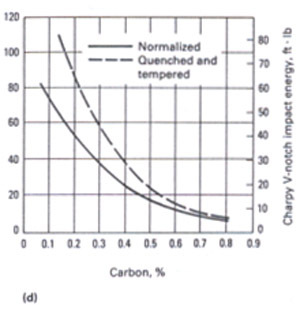 Quenching, followed by tempering, produces superior toughness as indicated by the shift of the impact energy transition curve to lower temperatures. Nil ductility transition temperatures (NDTT) ranging from 38°C to as low as -90°C have been recorded in tests on normalized-and-tempered cast carbon and low-alloy steels in the yield strength range of 207 to 655 MPa. When cast steels are quenched and tempered, the range of strength and of toughness is broadened. 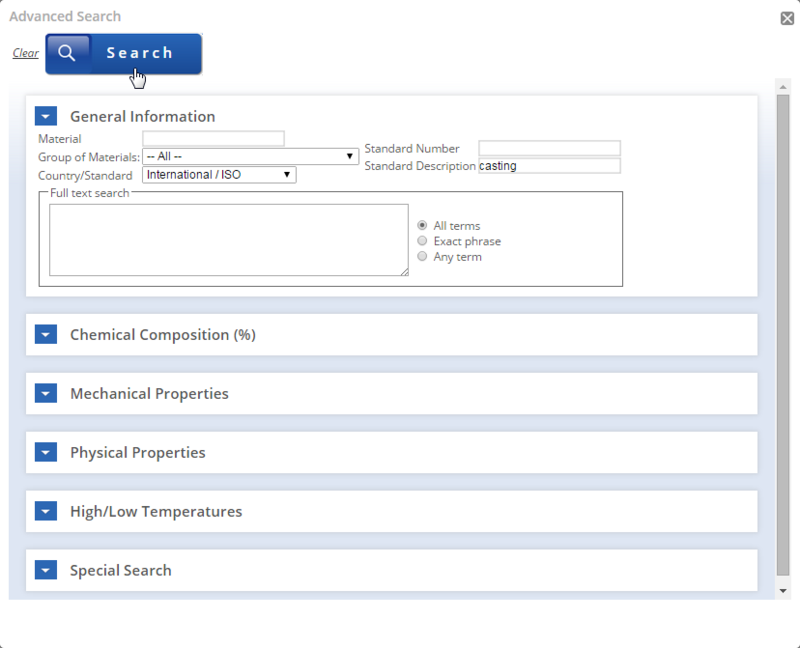 Depending on alloy selection, NDTT values of as high as 10°C to as low as -107°C can be obtained in the yield strength range of 345 to 1345 MPa. An approximate relationship exists between the Charpy V-notch impact energy temperature behavior and the NDTT value. The NDTT value frequently coincides with the energy transition temperature determined in Charpy V-notch tests. 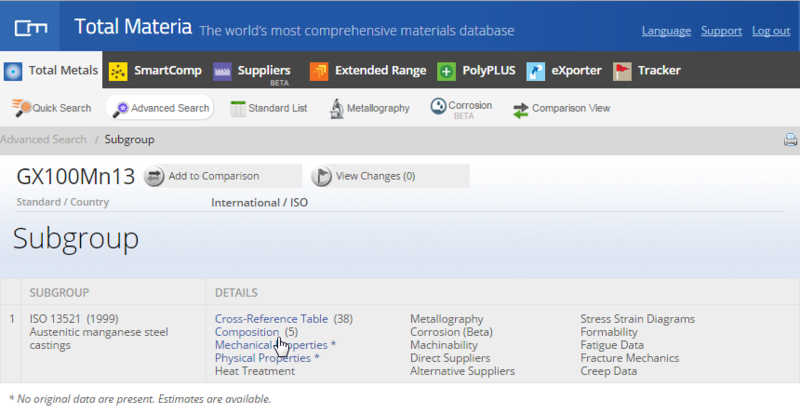 Plane-strain fracture toughness (KIc) data for a variety of steels reflect the important strength-toughness relationship. Fracture mechanics tests have the advantage over conventional toughness tests of being able to yield material property values that can be used in design equations. Strength and Fatigue. The most basic method of presenting engineering fatigue data is by means of the S-N curve, which relates the dependence of the life of the fatigue specimen in terms of the number of cycles to failure N to the maximum applied stress. 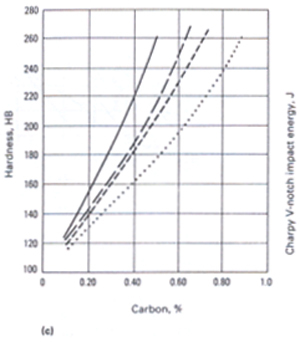 Other tests have been used, and the principal findings for constant amplitude tests and fatigue notch sensitivity for cast carbon steels are highlighted below. The endurance ratio (endurance limit divided by the tensile strength) of cast carbon and low-alloy steels as determined by rotating-beam bending fatigue tests is generally taken to be approximately 0.40 to 0.50 for smooth bars. The results indicate that this endurance ratio is largely independent of strength, alloying additions, and heat treatment. The fatigue notch sensitivity factor determined in rotating-beam bending fatigue tests is related to the microstructure of the steel (composition and heat treatment) and the strength. The quenched-and-tempered steels with a martensitic structure are less notch-sensitive than the normalized-and-tempered steels with a ferrite-pearlite microstructure. Section Size and Mass Effects. Mass effects are common to steels, whether rolled, forged, or cast, because the cooling rate during heat treating varies with section size and because the microstructure constituents, grain size, and nonmetallic inclusions increase in size from surface to center. Mass effects are metallurgical in nature and are distinct from the effect of discontinuities, which are discussed in the following section in this article. 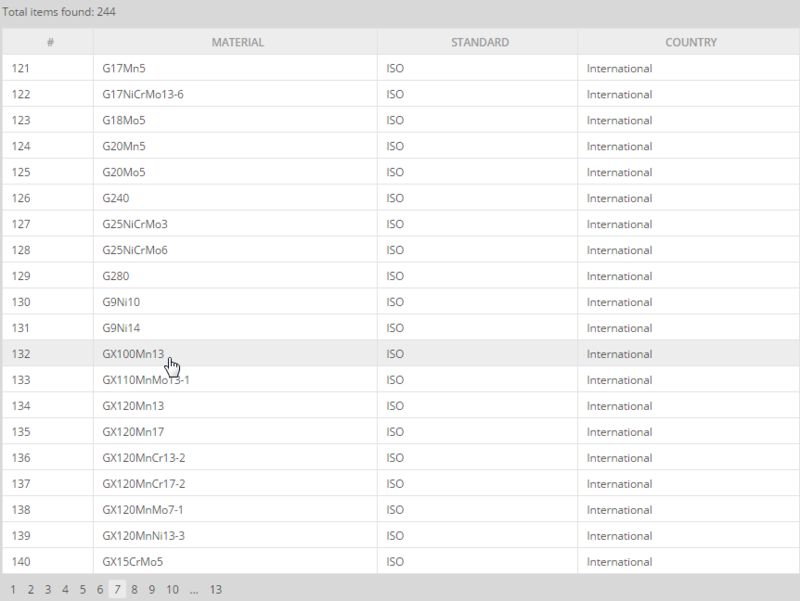 The section size or mass effect is of particular importance in steel castings because mechanical properties are typically assessed from test bars machined from standardized coupons having fixed dimensions and are cast separately from or attached to the castings. The removal of test bars from the casting is impractical because removal of material for testing would destroy the usefulness of the component. Test specimens removed from a casting will not routinely exhibit the same properties as test specimens machined from the standard test coupon designs for which minimum properties are established in specifications. The mass effect discussed above, shows that the difference in cooling rate between the test coupons and the part being produced, is the fundamental reason for this situation. Several specifications such as ASTM E 208, A 356, and A 757 provide for the mass effect by permitting the testing of coupons that are larger than normal and that have cooling rates more representative of those experienced by the part being produced.